After breakfast you depart to . 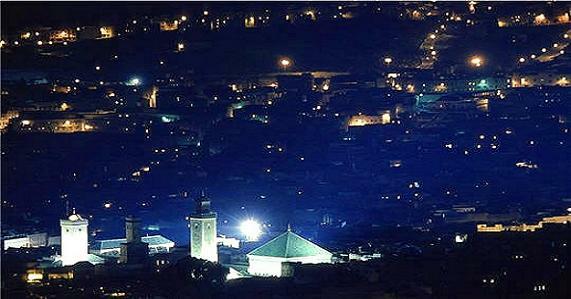 And after Mellal we will continue to Fes. BeniMellalthroughthe MiddleAtlas Mountainslunch inBeniDinnerand overnight will be atthe hotel or riad. After breakfast you will meet your guide, who speaks correctly language, to visit Fes which is the spiritual city of morocco. This visit will contain mosques (including the Quaraouiyine Mosques, and the Andalausian Mosque…), fountains (including the Nejjarine Fountain), Medrassas/ Koranic Schools, Batha Palace which is a museum of arts and traditions, Souks (including Souk Attarine), Bab Boujloud with its green and blue ceramics, Mellah, and the Kings Palace. 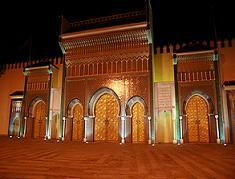 Dinner and overnight will be atthe hotel or riad in Fes. After dinner we travel to . , after lunch we will continue to ) Erfoudthroughthe MiddleAtlas MountainsArrival inMideltcitymarking the boundary betweenthe Middle andHigh AtlasErfoud viaRichandTizin'Talghemt(neckof the camel.Dinnerand overnight will be atthe hotel. After eating breakfast at the hotel you will take the road to Tineghir by the road of green oasis that is broken into small gardens and surrounded by a long series of Ksour. Then you will have a tour into the famous Todra Gorge where you will take your lunch. 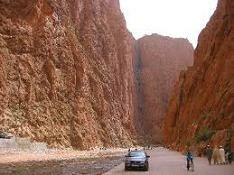 After lunch we will head to Ouarzazate via the road of thousand Kasbahs and the Dades Valleys. 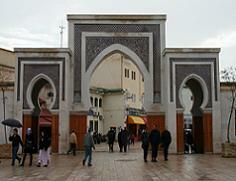 Then we will have a stop in Kalaa M’Gouna to take some rest and to enjoy by perfume of its roses. Arrive to Ouarzazate. Dinner and overnight will be atthe hotel. 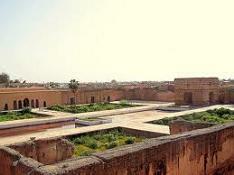 Today and after breakfast, you will have the opportunity to visit Ouarzazate to explore its famous Kasbah. Then we take road to the Ksar of Ait Ben Haddou who reflect the architect of southern morocco and who classified world heritage by UNESCO. You will also have with the of its . After lunch we will continue to Marrakech via the tizi-n-tichka in the heart of the high atlas. the opportunity to discover a traditional house hostnatural populationDinnerand overnight will be atthe hotel/ riad in Marrakech.